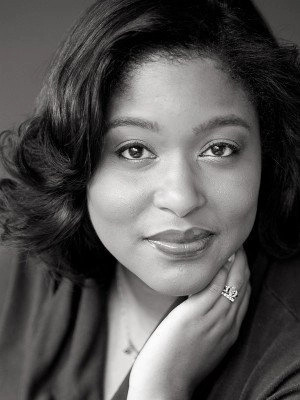 A Portland, Oregon native, soprano Nicole Joseph received her Masters and Specialist Degree in Voice from the University of Michigan, and Bachelors in Voice from Pacific Lutheran University. Opera credits include Lauretta (Gianni Schicchi) with Sugar Creek Symphony & Song, Susanna (Figaro) and Musetta (La Bohème) with U of M Opera Theatre. As a concert soloist in the Detroit area Nicole has been heard with Flint Symphony, Oakland University, Detroit Chamber Winds & Strings and Southern Great Lakes Symphony. Outside of Michigan she has performed with McCall SummerFest, Siletz Bay Music Festival, Walla Walla Symphony, Portland Chamber Orchestra and Victoria Bach Festival. Nicole was the 2nd Place Winner in the National Bel Canto Vocal Foundation Competition in 2009 and one of two winners in 2013. She is also a Michigan District Winner in the 2010 Metropolitan Opera National Council Auditions, 3rd Place Winner in the 2013 Nicholas Loren Vocal Competition, a semi-finalist and People’s Choice award winner in the 2014 American Traditions Competition, and a finalist in the 2014 Harold Haugh Light Opera Competition.